It’s hard to relive your childhood. But there’s something about getting a package delivered to your doorstep that can almost take you back. Most of us can recall the excitement and giddiness that accompanied tearing open a present on our birthday or Christmas morning when we were little. But how do you get your customers to revel in the excitement of receiving your product? Careful packaging and presentation can go a long way. There are graphic design marketplaces like Designhill that provides you with amazing product packaging designs for your company. Here you can get your package designed by launching a design contest from designers all over the world. Yes, your customer has already purchased your product, but that doesn’t mean you need to stop wooing them. How you package and present your goods for shipping can be a powerful marketing tool— so don’t leave it as an afterthought. As an online retailer, you want to focus on the overall experience of your customers. Don’t simply fling your goods in a box. Instead, use your packaging as a way to further build your brand. According to a survey by Shorr Packaging Corp., only 11% of customers are completely satisfied with packaging today. Wow—that’s a lot of dissatisfaction, which gives you the opportunity to shine. With a little care, you can have your goods stand out in the crowded e-Commerce field, and you’ll get your customers returning for more. Just a few short years ago, people weren’t accustomed to buying things online. Sure, they may have made the occasional purchase of something they couldn’t get locally, but e-Commerce was just a small blip in the overall economy. My, how times have changed. Today, people are not afraid to purchase any and everything online. People buy everything from groceries and toothpaste to more expensive items, such as computers, and even cars. Pretty much you name it, and you can buy it online. In 2015, U.S. e-Commerce sales amounted to $287 billion. And the rest of the world isn’t far behind. China had $247 billion in sales; Japan had $76 billion, and the U.K. had close to $67 billion. The trend seems to be ever upward. Market research company eMarketer predicts that global online sales will be near $2.4 trillion in 2017. With so many people turning to the internet, you want to make yourself stand out and be remembered. For first-time customers, the package that lands on their doorstep may be the first time they physically get to see and feel your product. How it arrives is an essential way to nurture brand loyalty. The first thing people will notice is the box or envelope. 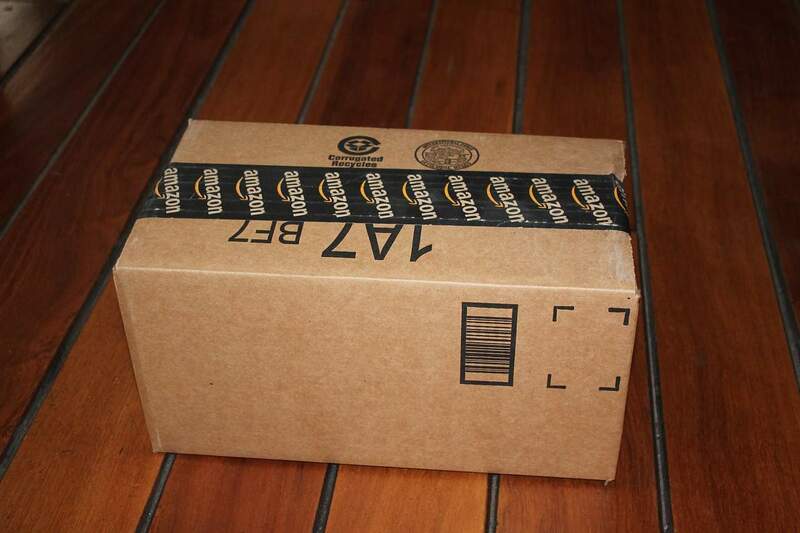 Powerhouse e-Commerce retailer Amazon, for the most part, packages its goods in a simple brown box, but with its recognizable packing tape and logo on the side. Although the brown box is subtle, there’s no mistaking where the package came from. Some retailers like to add a little more flash to the shipping box. Walmart sometimes emblazons its company’s name in bright letters on the side of the box, and there’s no mistaking Shutterfly’s vibrant orange envelopes it uses to send out its merchandise. The shipping box can help build a sense of intrigue. You want even the neighbors to be wondering, what’s in that package? Obviously, merchants need to be careful about how they label the outside of a box. You don’t want to advertise an expensive item for all the world to see sitting on someone’s porch just begging to be snatched. But if you can’t make it exciting on the outside— add some style inside. Today, even unpacking merchandise has a social aspect. People are taking to their social media channels to share their excitement of their latest online purchase. What a boon, as an online retailer, if you can take advantage of this free advertising to get valuable word-of-mouth reviews. Dotcom’s 2015 e-Commerce Packaging Study, Unwrapping the Customer Experience, found that 39% of respondents have shared a picture or video on social media, and 60% said they would be more likely to share a product image if it came in a gift-like box, rather than a nondescript brown one. Does that have you convinced to add some oomph to your packaging? People enjoy receiving presents. So, make it feel like it’s their birthday. Go ahead and add little extras, like pretty tissue paper, or even a personalized card. If you’re a small enough operation, even adding a greeting with your customer’s name to the inside flap of the box will make them feel special. If you can get your customer excited, they’ll be more willing to share their experience. You may even get lucky and have them share an unboxing video on YouTube. Incredibly, people are doing just this in mass numbers. Since 2010, YouTube videos with “unboxing” in their title have gone up 871%. One company that has no shortage of unboxing videos on YouTube is Apple. 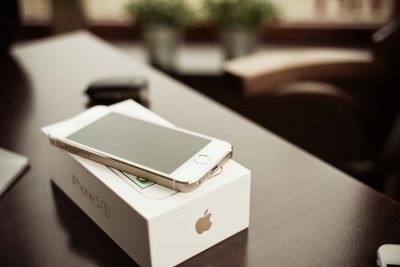 Just type in “iPhone unboxing,” and up will pop over four and a half million hits. No surprise—since Apple is the master of the details of marketing. As an example, this YouTube video by iJustine, which shows her unboxing a new Apple watch, already has over one million views. You can feel the anticipation as she first opens the plain shipping box, and then soon digs into the familiar thick, high-quality white Apple box. Her enthusiasm is infectious, and this sort of free advertising just generates, even more, buzz for Apple’s latest products. 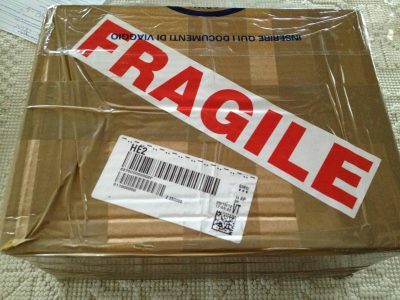 While people may appreciate a beautiful package, if your products arrive damaged, or are difficult to open, your customers will not be happy. Customers can be finicky and if they find something annoying with opening their package they won’t hesitate to leave a bad review for your product or company. 55% of the respondents said that the number one irritant were packages that were hard to open. Coming in at number two with 19% was excessive packaging. 13% of the respondents cited damaged packaging (not the actual item). 8% of people were annoyed by non-recyclable materials. 4% did not appreciate ugly packaging. Seeing that the number one turn-off for people opening their packages is they’re hard to open, it’s a no-brainer to make it easy for people to get to their goods. No one wants to struggle with using a sharp knife to open thick plastic packaging that won’t budge. People also don’t appreciate having to get rid of all of the packaging once they’ve released their item. Another interesting takeaway from the study is that consumers are becoming increasingly aware of the environmental impact of this new online economy. They realize that all of this e-Commerce is not without environmental costs. According to the U.S. Environmental Protection Agency (EPA) packaging is responsible for up to one-third of the nonindustrial waste in developed countries. You want to protect the items you’re shipping, but as an online retailer, you don’t want to come across as wasteful and uncaring for the environment. Today, there are more and more environmentally friendly options to your packaging. So-called eco-packaging is a booming business. Cardboard is an excellent choice since it can easily be recycled. For bonus points, you can use cardboard made from recycled content or post-consumer content. For added padding for your products, you may opt to use packaging shred made from recycled paper. It comes in a variety of colors and can be crinkled to add a decorative touch. Or, instead of old-fashioned Styrofoam packing peanuts, there are starch-based alternatives made from corn, grain sorghum and other crops. These are not only better for the environment, but your customer won’t need to hassle with disposal. Just pour water over the plant-based peanuts and watch them dissolve into nothing. Many successful online retailers appreciate that you need to be willing to accept returns if you want someone to take a chance on you. Even your best customers want to know that they can return an item if it doesn’t fit, is damaged, or doesn’t work with what they had in mind. Shorr Packaging Corp. found that premium shoppers (those defined as spending more than $200 a month on online purchases) make a lot of returns. They found that 22% of these shoppers said they return at least a quarter of their online purchases. But 95% of these customers stated that they will do repeat business if the returns process is easy. You want to make it as easy as possible for people to return their items if they’re not satisfied. One easy solution that a lot of clothing retailers use is to include return mail slips. Make it easy for your customer to put their items back in the box and simply adhere a label. Nordstrom, a company that has long prided itself on quality customer service includes a return label and also pays for the return shipping costs. If you live in the US, all you have to do is throw your goods back in the box, slap on a label and hand it off to your postal carrier. You don’t have to hassle with traipsing off to the post office or UPS to have your package weighed and postage calculated. Sometimes it’s the little things. Trunk Club even includes tape for the customer to close the box back up. Because seriously, who has time to hunt down a roll of tape. Other retailers like Stitch Fix include a returns bag, which is cheaper and easier to mail back then a box. Creativity is great, but you don’t want to get too crazy. You still need to take into account shipping costs. Today, many of the major carriers, including FedEx, UPS and DHL, use dimensional weight to calculate shipping fees on ground packages less than three cubic feet. This means that they take into account the size of your box, as well as the weight. So make sure the box you choose fits your goods. Mailers can also be an option if your product is small. No matter the size of your box, be sure to throw in some padding, even if it’s not breakable. You don’t want your goods flopping around inside the box. Be careful not to add too much weight with your padding. You can try one of the eco-friendly options mentioned above, or lightweight bubble wrap, which you can get in sheets, rolls, or bags. As an online retailer, you may not have a physical storefront, but you still want to give your customers a personalized and luxuriant experience, kind of as if they were shopping at a small boutique. In other words, you want them to feel special. You probably already do this with your website and other interactions but don’t forget an area that’s often overlooked—packaging. How you package and present your goods for shipping will leave a lasting impression—not just with your customers, but potentially with their friends, and even friends of friends, through social media. You may feel satisfied that you’ve made your sale, but don’t squander a golden opportunity. With pretty, but practical packaging you can attract new customers, and just as importantly, retain the ones you already have. Returning customers spend an average of 67% more than first-time customers, so you want to impress even those who have already made a purchase from you. You want to take the whole process of your customers’ transaction into consideration. Their transaction isn’t complete when they click the buy button. You need to wow them when their package arrives. This may be the difference between a one-time customer and someone who is loyal to your brand and makes repeat purchases.